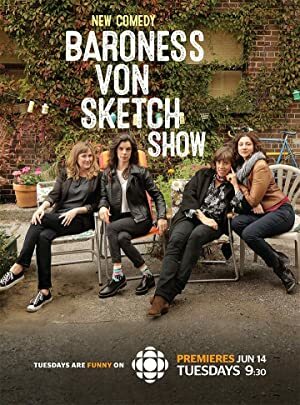 Baroness Von Sketch Show – Season 2 (2017) – What's New on Netflix Canada Today! This show, a sketch comedy, has a decidedly female bent. It is written by a primarily female staff, and performed by an all female primary cast (with both female and male supporting players). They tackle a variety of subjects, most dealing with current cultural topics of everyday life, but from a female perspective. Unlike most sketch comedy shows of the day, the sketches in this show are rapid fire in that they are relatively short – none lasting more than approximately five minutes, with most being in the one to two minute range – and are filmed largely on location, rather than on a sound stage or in a studio in front a live audience.